One of the stealthiest and most versatile weapons you can get out there is a folding knife. Being a concealed weapon, making the most of it entails knowing some of the basic folding knife tricks. This way, you will be able to have a good grasp on using your folding knife the right way. Due to the deadliness of its strikes, there are lots of laws governing the use of this type of knife in various countries and in order to be on the safer side, you should know what the law of your state says about the use of folding knives, whether you are buying it for fun or self-defense purposes. Being one of the basic knife tricks, every knife enthusiast should be able to master the trick. For this particular trick, there is a simultaneous spinning of the safe handle and sending the bite handle away with a flick of the wrist. With this done, the back of the knife blade and the bite handle are position at the back of the users hand. 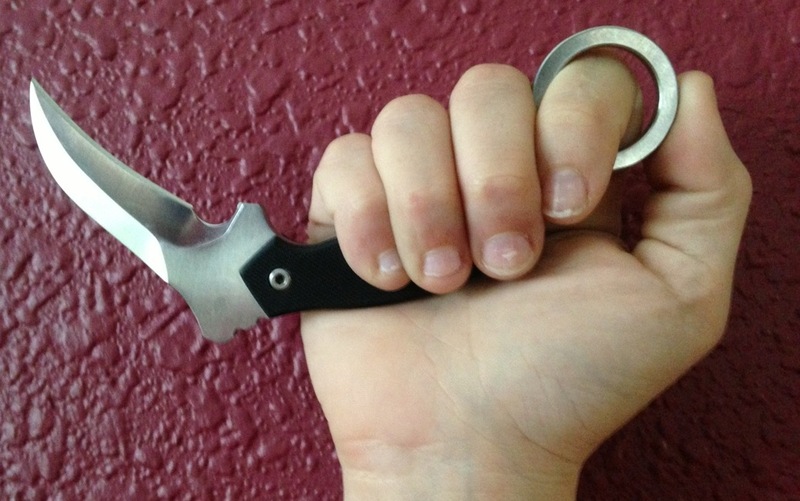 With a swift flick back of the wrist, the bite handle is returned to the front, making the folding knife to be in an open position. This is a complete opposite of the above described trick. With the knife already in its open position and your palm being open, the bite handle is flicked up into your palm. With this maneuver, the handle and blade are simultaneously lined back to a closed position. This is one of the favorites among the various folding knife tricks as every knife trickster will always dazzle his teeming fans with it. It entails holding your knife in a horizontal position, making sure that the tang pins are pointing in the same direction with your thumb. The bite handle is then dropped while holding the safe handle. The bite handle is then flipped around, ensuring that your grip is shifted as you flip the bite handle. This way, the bite handle is positioned upwards and automatically snaps to a closed position. These are not like the basic knife tricks and as such, it takes lots of devoted practice time, experience, and confidence before you can effectively perform these tricks. In order to minimize cases of injury, knife enthusiasts recommend training with professionals and at the same time, starting with fake knives. When you finally become confident of your skills, then you can use real folding knives. There are times that rust build up on knives due to wrong storage or lack of use and cleaning. When this happens, you can easily use pencil lead or graphite to remove the accumulated rust from those areas of the knife that are hard to reach. If you don't want to mistakenly lose your knives, it is important you device means of securing them. One of the tricks is to secure your knife to your belt or any other piece of clothing using a lanyard. This way, you will minimize chances of it dropping and injuring you or getting lost. Did you just use your folding knife in roasting in open fire? Is the blade caked all over with burned food? Getting it sparkling clean is very easy. All you need to do is place some quantity of sandy soil in the center of a piece of material, wrap or tie it off and use to scrub the affected blade parts. Rinse off with warm soapy water. Repeat till your knife's blade is sparkling again. You don't really have to wait at the end of the day before you can sharpen your knife. This is where a pen -style sharpener comes into the picture. With this tool, you are able to sharpen your knife after each use. This is more time and energy saving as compared to when you have to spend a long time at a stretch in order to fully sharpen your knife. This is one of the many folding knife tricks that has continued to be a life-saver. If you suspect that your knife might be contaminated, simply boil it in water. If yours is the all -metal type, it can be boiled wholly but for those with wooden, plastic, or porcelain handles, only the blade should be dipped into the boiling water in order to decontaminate it. If your folding knife is constantly exposed to very dry and dessert -like environment, the chances of it getting clogged up with sand are very high. In order to avoid such occurrence, you should always blow out sand from the knife after each use. This way, you free it of debris that might inhibit its functionality. The handle of your folding knife is where most of the moving parts of the knife are located and if not taken proper care of, these parts could corrode and inhibit knife movement. Always make sure this part of your knife is oiled after each cleaning session to prevent any rusts. These are some of the folding knife tricks that would help you make the most of using this very versatile weapon or tool, whichever option it serves. Remember that your folding knife is a very sharp object and as such, its capability to curse devastating damage is very high. For this reason, always respect your knife's space and don't get sloppy otherwise, your arms or any other part of your body might pay heavily for your gross mistakes. Go ahead and have fun with the various tricks, without injuring yourself or someone else.Know of any other fun tricks for folding knives? Let us know about it then.